We’re playing it by ear at Ad Lib, but the menu and decor were definitely not selected on a whim here. What to expect: A picture may be worth a thousand words, but the names behind this chef-driven concept raise the caliber. Expect a complete renovation from what you came to know at this location. Attention was paid to every detail, and it shows. 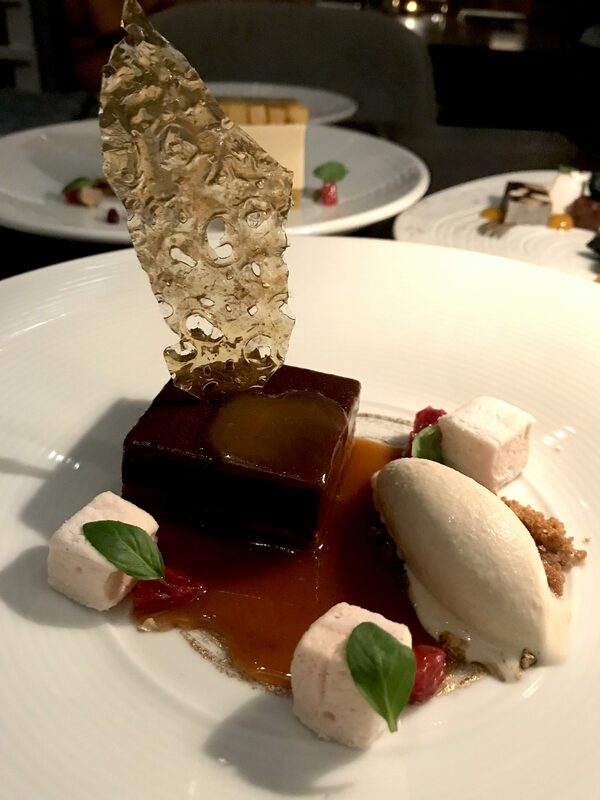 Chef/partner Norman Van Aken brings inspiration from kitchens around the world, while Pastry Chef Hedy Goldsmith creates sensation in every dessert set on the table. Cocktails are just as spectacular with Sam Ross of NYC’s Attaboy setting the tone on the bar program. 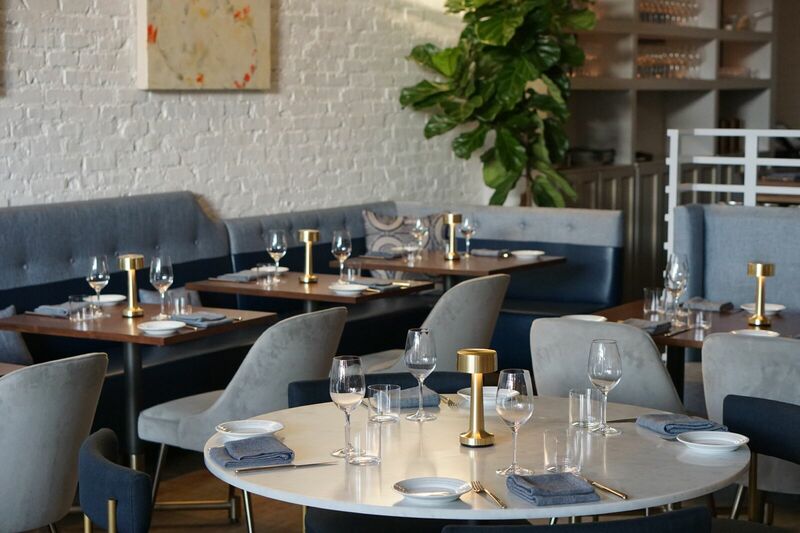 The Menu: Their sustainable approach to cooking is evident on the menu with wild-caught fish and close attention to incorporating local produce as well as the use of seasonal foods. Smaller plates include lots of seafood options from Florida stone crab, oysters, scallops, and shrimp. 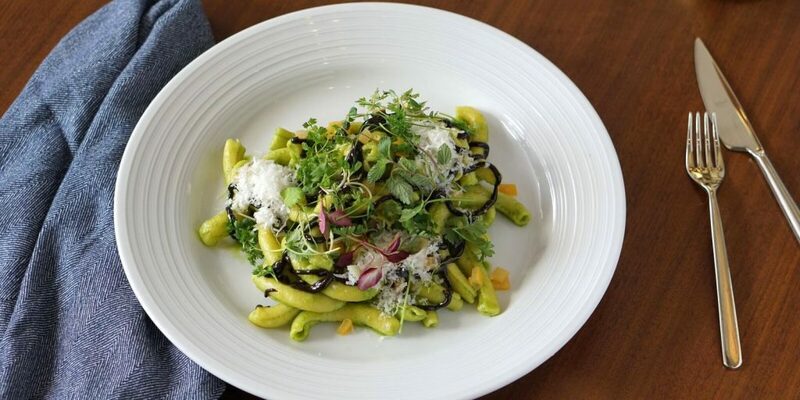 The middle section of the menu is heavy on vegetables like beets, sunchokes, and zucchini. But don’t worry, we kept our eye out for heartier dishes like Iberico Pork and Spaccatelli pasta. 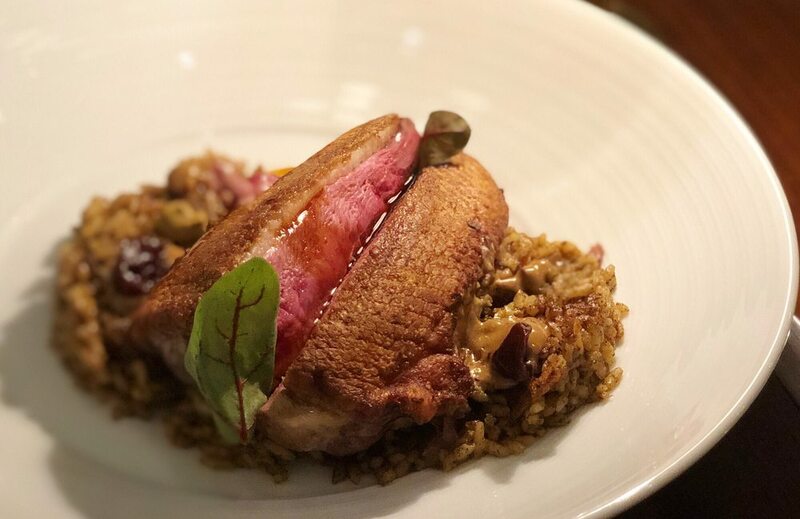 We’re ready to tell you all about dessert, but first… let’s not forget the Dry-Aged Duck. This was our favorite, and kind of wish I hadn’t filled up on chicken liver pâté so I wouldn’t have had to share this. A beautiful pink center laid over crispy rice that can only be described as good as mom made it in Puerto Rico. 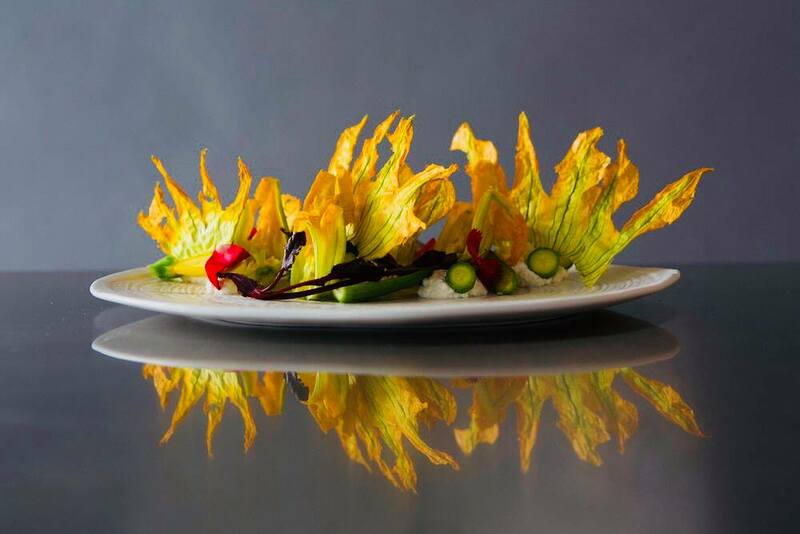 Equally enchanting were the Zucchini Blossoms. Their presentation on the plate was one for the books, yet even better was the taste of ricotta with sumac and preserved kumquats sprinkled throughout the crunchy blossoms. Then from the three dessert options we tried, the dish that would not be on the chopping block was the Bittersweet Chocolate Tart. Maybe it was the salted caramel. Or could it be the toasted sourdough gelato? Oh, but definitely the blood orange marshmallows! How to score a table: Walk-in or make reservations online. Their Happy Hour menu recently launched, so look out for that Monday to Friday from 3:30pm to 7:00pm.